Finally a decent weather day in Perth. It got up to about 25 today (around 77 degrees) so we got some errands run and headed to the beach. And yes, there will be pictures finally. Sorry for the delay. I know that it all anyone wants to see. Benny is in the process of replacing a lost passport, and seeing the hoops he’s got to jump through to do that makes me realize that incompetent, layered bureaucracy is not strictly an American phenomenon. There was some waiting in line at the post office, a few button mashing incidents to get to talk to a real person on the phone, and then a drive up to have an old friend guarantee that the passport photo was in fact Ben Harrison. Dealing with Australian government bureaucrats seemed quite familiar to the American. These puppies are approximately $4k each. After dealing with those issues though, we headed down to Scarborough Beach to knock around in the waves a bit. Upon arriving at the beach, we realized that we’d just stumbled into the biggest Surf Life Saving event that I’d ever seen. 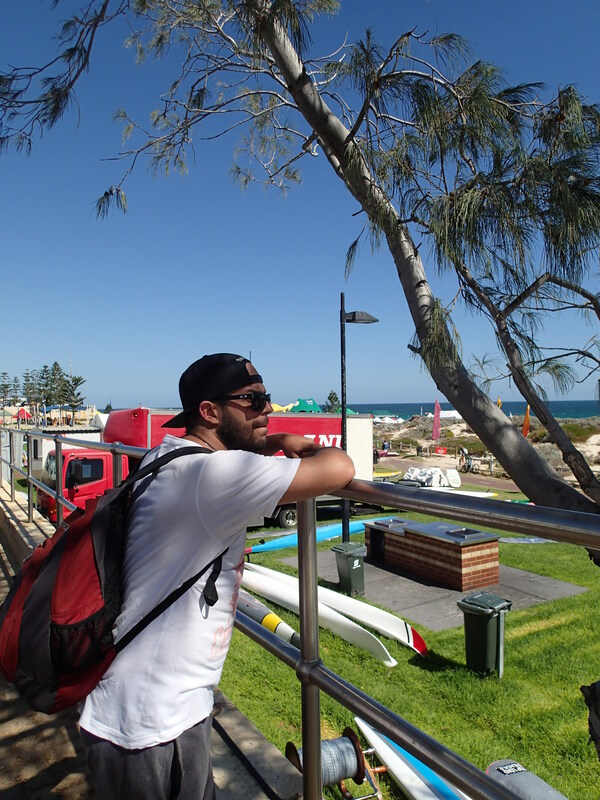 Surf Life Saving is best described as the Olympifiying of life guard skills. 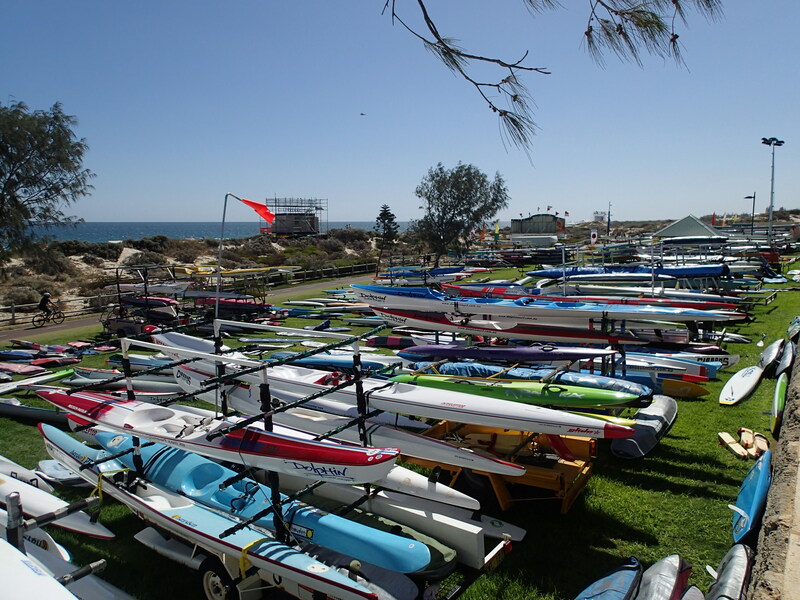 There are swim competitions, surf ski races, direct rescue races and more. Clubs from all over Western Australia were in attendance and it had the feel of AAU Basketball nationals with a trade show attached. The groupings were by year, U19 to U16, and there were multiple events going on at all times while we were there. Comfortingly, I didn’t feel like it was at all possible to drown with 2,000 teenage lifeguards running around. On a Wednesday no less. Beyond the events, I had a great time knocking about in the surf while Benny continued to deal with passport issues. 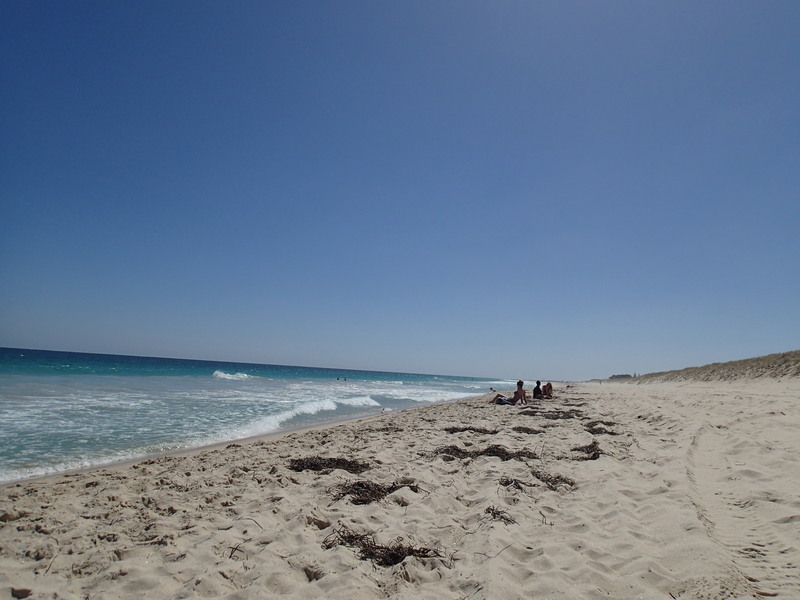 Scarborough Beach was particularly blue, with sand that was white and quite soft. The tide was going out while I was there, so the waves were pretty limited to some soft rolling shore dumpers, but I’m sure that a decent swell at that beach would be pretty wicked. I haven’t gotten on a surfboard yet this trip, but that will be fixed by the weekend. 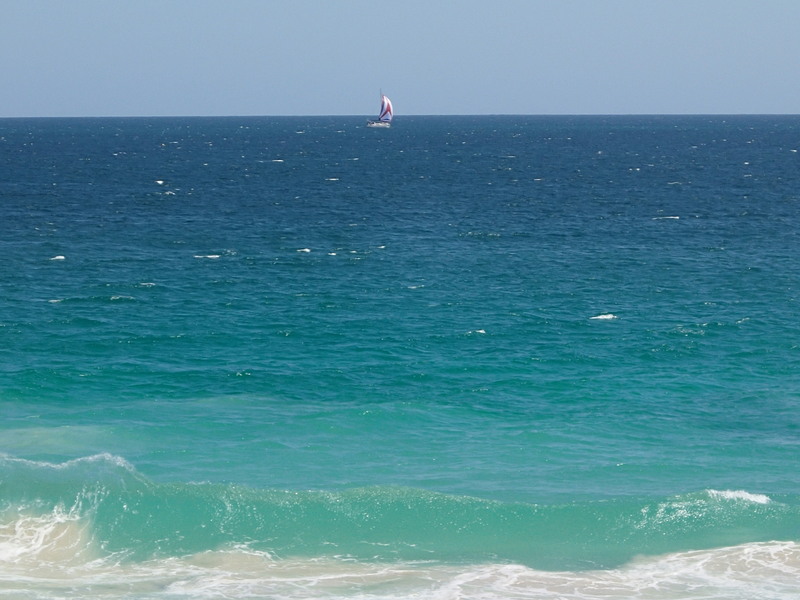 After leaving, I really got to thinking about the significance of being in the Indian Ocean. (Caution: Hackneyed history lesson ahead.) This was, for most of European history the very end of the earth. James Cook voyaged down into the South Seas in 1770 looking for the mythical Terra Australis, a hypothetical continent in the Southern Hemisphere. Terra Australis had been hypothesized since the times of Aristotle and Ptolemy to be a huge landmass which counterbalanced all the discovered world north of the Equator. Cook ventured forth looking for this mythical landmass en route to finding what we now call Australia. This was literally as far as things went. There was still Antarctica, but the Crown didn’t send explorers out to find chunks of ice, regardless of size. (Cook actually did spot islands off the Antarctic Mainland on the same voyage.) Cook had discovered the end of the inhabitable earth, and here I was, laughing like a fool as far away from home as one could possibly get. Thankfully I didn’t have to risk life and limb for 20 months to get here on a wooden sailing vessel, but my first swim in a third ocean did feel impactful. Now I guess I’ve got to make my way to the Arctic Ocean to cross off all 4. Who’s up for Iceland?